A truly beautiful city with a great mix of architecture, culture and style. I loved all the gorgeous effortless girls walking around. I didn't even feel underdressed in my long coat, black jeans and broques. And that light sweep of blush I managed to get onto my cheeks in a moving train seemed to be received well. 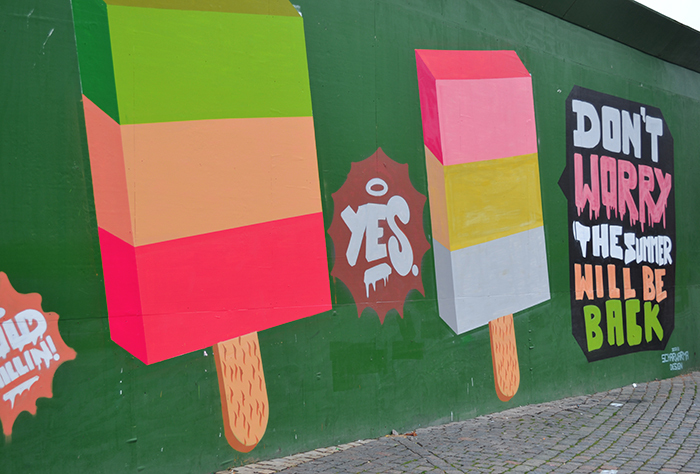 Or maybe people from Copenhagen are just really nice because I kept getting compliments. 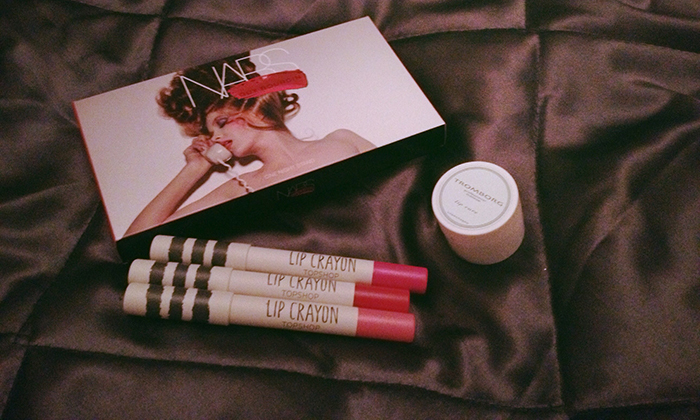 I showed the things that I bought yesterday, but I didn't just go shopping. 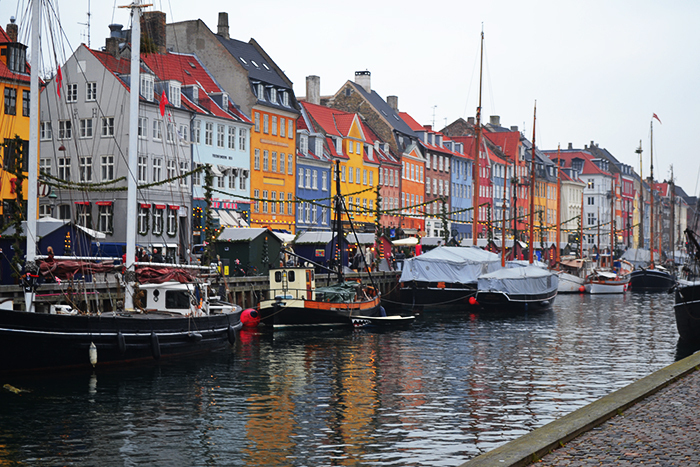 We also went to see a few of the tourist attractions like the Nyhavn and Christiania. I really liked the little warehouse district with the colored fronts. I can only imagine how vibrant this part of town is when the temperatures are a little more friendly. I can see people enjoying drinks on the terrace, looking out across the water. Which, I have to add, is extremely clear, especially when you compare it to the canals of Amsterdam. 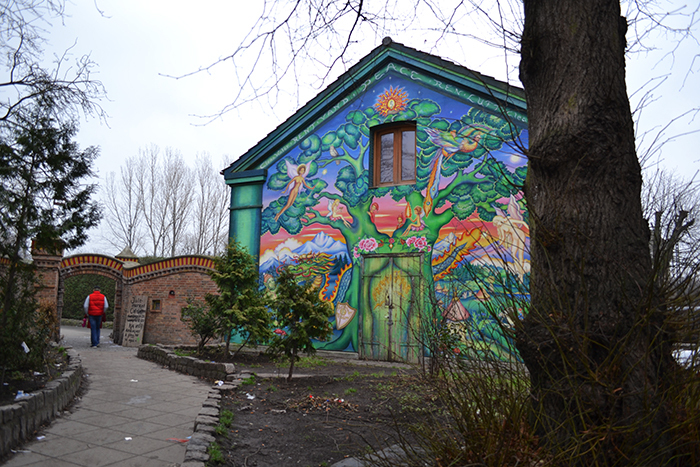 However, I didn't like Christiania. This self proclaimed autonomous neighborhood has about 850 inhabitants. I know I might step on some toes but I don't agree with kicking against society just for the purpose of kicking. I feel like the people there don't really have a purpose. They just want to hang around, waste time and do a lot of drugs. I felt completely uncomfortable there and just wanted to leave. 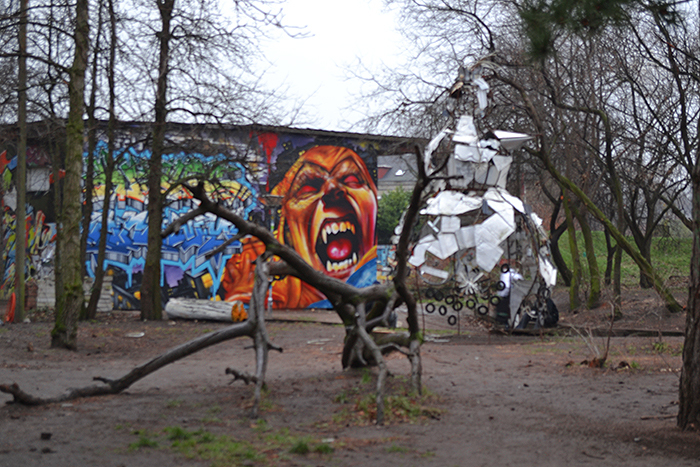 I did like the quirky art installations, though. So I felt I had to include them in my photo diary. 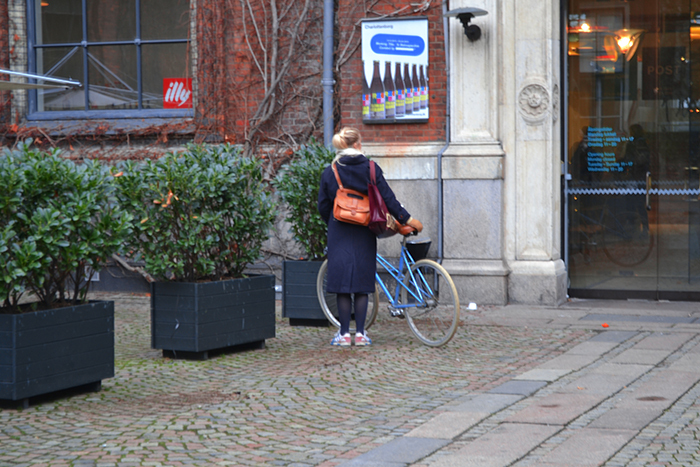 I read in a flyer somewhere that nearly half of all the people in Copenhagen commute to their studies or work by bike. How amazingly environmentally friendly! We here in the Netherlands also have way more bikes than inhabitants so I understand the love for this two wheeled form of transport. 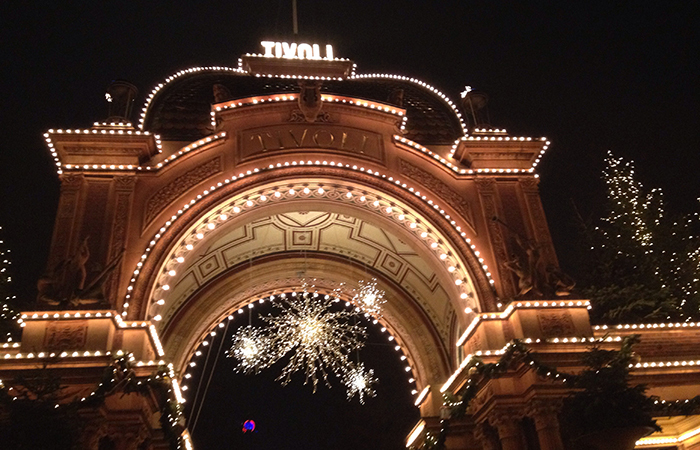 I wish I had a little more time at night in Copenhagen, because it would have been amazing to walk through the Tivoli amusement park with all the Christmas lights glowing. Everything seems to be prettier when the twinkling lights are on, and this was no exception. 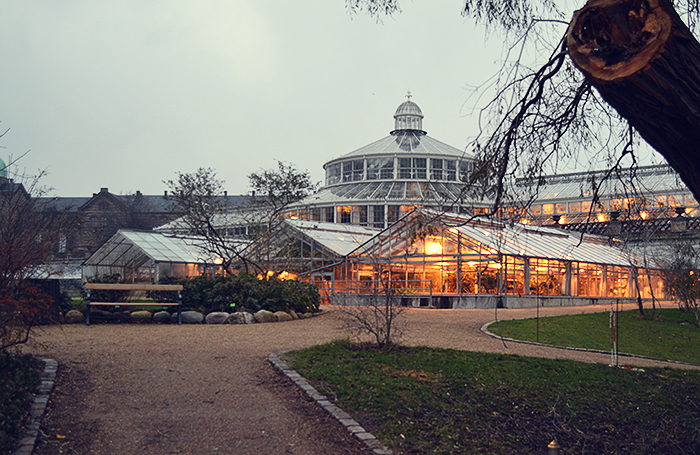 Overall I had a good time in Copenhagen and definitely want to go back some time. Although I am never ever taking the train again. The ride there was pretty good, we each had three seats available so we could stretch out and get some good couple hours of sleep in. But going back there was someone else in our little section and sleep was impossible. There were some really loud students running through the train basically screaming at each other. And don't even get me started on the baby that didn't stop wailing. I didn't sleep, at all. And arrived back in my country as a complete zombie and slept for thirteen hours when I got back. Next time I'll just take a plane.